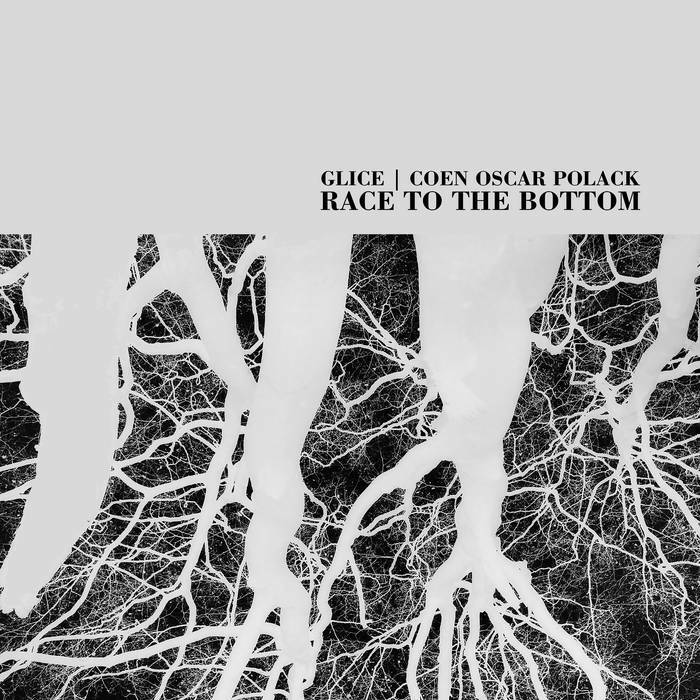 new: Out now: Glice | Coen Oscar Polack – Race to the Bottom (tape / download) – Chain D.L.K. After two instalments in their ongoing series FLEISCH, both released on Narrominded last year, the Dutch noise group Glice (Ruben Braeken and Melle Kromhout) present their first collaborative project. For RACE TO THE BOTTOM they entered the studio with ambient-concrète composer Coen Oscar Polack. Earlier this month RACE TO THE BOTTOM was released on limited cassette and as a digital download on the occasion of their performance together at the Dutch underground festival Van Onderen, held in the legendary Paradiso venue. In recent years the cinematic noise of Glice, with its great sense of texture and drama, has opened many ears to a genre that is often perceived as difficult or inaccessible. That makes Glice a perfect match for the work of Coen Oscar Polack, that navigates an unstable balance between electronic textures and field recordings. RACE TO THE BOTTOM is presented as a continuous piece of improvised music, lasting a little over forty minutes in which alle these different musical elements fall into place. At some points it all sounds oppressive and intense, but there are moments of calm, darkly ritualistic in tone. This release is a captivating document of the first collaboration between three original voices in the Dutch electronic underground. At the moment, Glice is in Berlin to record a new album. Coen Oscar Polack has a number of releases planned for 2017. And there will be more from this collaboration later this year.